‘Looking for a great local plumber in Carlsbad, California? 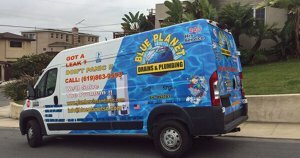 Call Blue Planet Drains & Plumbing — we’re ready 24/7. We’re the local experts for professional drain cleaning and sewer cleaning, along with leak detection, slab leak repair, re-piping, and more. When you call we’ll take the time to understand your emergency or need so as to be sure to send the right plumber, equipment, parts, and supplies. 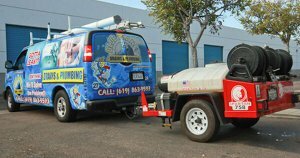 Our emergency plumbing services will typically be at your home or business in Carlsbad in an hour or less. We strive to provide the very best in workmanship and customer care at very reasonable rates. 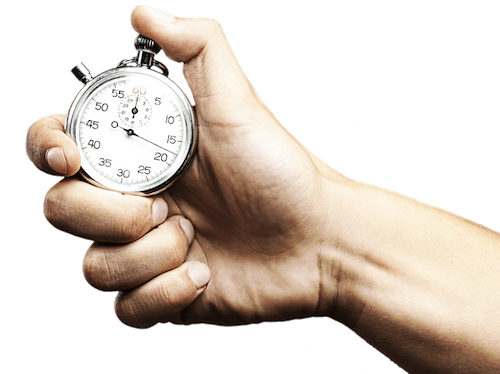 With excellent trouble shooting skills and efficient work habits we’ll finish the job quickly and get it right the first time, saving you money. We’re often called upon by major chains in the Carlsbad area to keep their business operating smoothly. Licensed and insured, we’re members of the BBB and PHCC, and are always happy to provide references. Our experienced crew are ready to attend to all of your home’s plumbing repair and installation needs. Besides sewer and drain cleaning, we take care of garbage disposals, faucets and sinks, filtration systems, and so on. We can even re-pipe your entire house. We’re the local plumbers in Carlsbad who respect you and your property. Our uniformed professionals wear shoe covers to protect your flooring, and thoroughly clean up before leaving. They’ll be happy to discuss what they’ve found and your options, including money-saving alternatives. Our field crews recognize the many differences between residential and commercial plumbing, including business-specific code requirements as well as the special fixtures and equipment. And our staff is well aware that even a backed up sink disrupts your operations and costs you money every hour until it’s fixed. As our name suggests, we have specialists in commercial drain and sewer cleaning with extensive experience serving restaurants, hotels, grocery stores, and other facilities with FOG (fats, oils, and grease) issues. We’re ready for grease trap installation, tenant modifications, and complete re-piping projects. We can also work with you to develop a schedule of regular inspections (including pressure testing and leak location) and preventive maintenance such as drain cleaning before trouble strikes. With a clog and a backup you know you have a problem. But slow drain odors and slow draining sinks in the kitchen, bath, or laundry also indicate that it’s time for drain cleaning. A full-service plumbing company such as Blue Planet knows to be on the lookout for special conditions and will fully complete the job so you won’t be calling us back anytime soon. That often happens when cabling (snaking) only pokes a hole through grease and sludge buildup — it usually doesn’t take long for that hole to back plug up again. Our special hydro jetting equipment safely blasts away all deposits, leaving your drain pipes working like new again. The main pipe connecting your building to the Carlsbad sewer hook-up at the street can also clog, potentially affecting every fixture in the building. Besides build-up and flushed foreign objects, problems can also come the intrusion of tree roots as well as lines sagging, poor joints, or even a collapsed line. So our sewer cleaning begins with an in-pipe camera inspection to have a look all along the way, and to locate the blockage. In many cases we can fix the problem without the expense and disruption of digging a trench in the yard or breaking through sidewalks and driveways. Our high-pressure hydro jetting gear can often complete sewer cleaning, even 90% of tree root intrusions. Many leaks are obvious, but some lay hidden within walls or under flooring. Even before you notice something is wrong you can have a mold outbreak or other water damage to wood studs, drywall, and more. Combining their years of experience with the latest leak detection instruments our experts can pinpoint the problem without making a single hole anywhere. That’s way better than the demolition some local plumbers put you through. Leaking plumbing under a concrete slab floor can be a major problem. Older slab leak detection methods may result in pulling up flooring and cracking through concrete in several places. Even with the latest location methods spot-repairs still involve jack hammering through the slab, replacing a section of pipe, then restoring the concrete and flooring. And you may face yet another slab leak in the years to come. 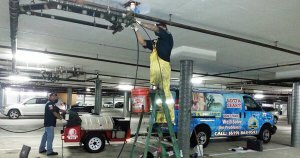 After carefully assessing your particular situation our slab leak repair specialists may be able to recommend alternatives such as re-piping around the outside edge of the slab or pipe lining (coating the inside of pipes with a non-toxic epoxy). Carlsbad California is Known for Its Water? Well, it once was. Way back in the 1880s a settler dug a well in order to sell water at the train station. After testing it was revealed to be the same as used in world-renowned spas. So a spa was build and promoted to tourists. And the town was named after a famous spa in the Czech Republic named… Karlsbad (https://en.wikipedia.org/wiki/Carlsbad,_California). Today we enjoy great quality water, ranked 76 out of 100 by http://www.bestplaces.net/health/city/california/carlsbad (the average across the US is 55). The Carlsbad Municipal Water District notes that what passes through city mains undergoes testing more rigorous than bottled water (http://patch.com/california/carlsbad/report-shows-carlsbad-provides-high-quality-drinking-water_2691c70f).